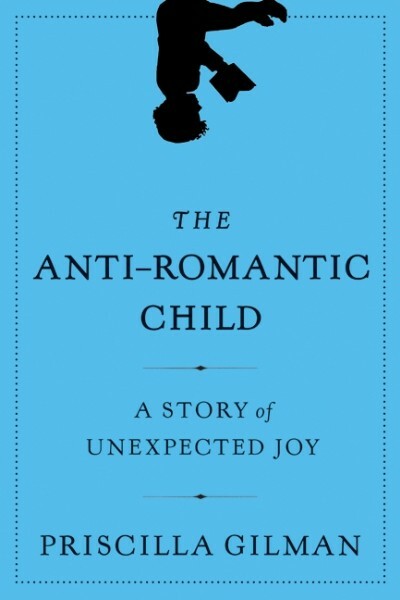 Priscilla Gilman, Ph.D. is the author of The Anti-Romantic Child: A Memoir of Unexpected Joy (HarperCollins), a beautiful exploration of one woman's expectations and hopes for her children, her family, and herself, and of the ways in which we are all capable of re-imagining our lives and finding joy in the most unexpected circumstances. A former professor of English at Yale and Vassar, a prize-winning teacher with a background in the performing arts, Gilman is a captivating speaker whose warmth, dynamism, and accessibility make her highly sought-after by diverse audiences. In her wise and inspiring keynote speeches on subjects from parenting special needs children to the uses of literature in times of challenge, she shares the lessons she has learned from her poignant journey through crisis and disenchantment to a place of peace and resilience. Gilman speaks frequently at schools, conferences, and organizations about parenting, education, autism, and the arts. Gilman had the greatest expectations for the birth of her first child. Growing up in New York among writers and artists, she experienced childhood as a whirlwind of imagination and creative play. Later, as a student and scholar of Wordsworth, she embraced the poet's romantic view of children -- and eagerly anticipated her son's birth, certain that he, too, would come "trailing clouds of glory." But her romantic vision would not be fulfilled in the ways she dreamed. Though Benjamin was an extraordinary child, the signs of his remarkable precocity were also manifestations of a developmental disorder that would require intensive therapies and special schooling, and would dramatically alter the course Gilman had imagined for her family. In The Anti-Romantic Child, as well as in her speeches, Gilman illuminates the flourishing of life that occurs when we embrace the unexpected, and shows how events and situations often perceived as setbacks can actually enrich us. Gilman's highly unique perspective makes her an ideal speaker for audiences comprised of parents, teachers, or students, or a combination of any of those groups. In January 2018, Gilman's moving piece for Slate, "My Spaceship Knows Which Way to Go: How David Bowie Helped my Autistic Son Become Himself," was a viral success. The piece shares the story of how Gilman's son Benj learned to express himself through Bowie's music. Gilman is a former professor of English literature at Yale University and Vassar College. Since leaving academia in 2006, she has taught poetry appreciation to inmates in a restorative justice program and to New York City public school students, worked as a literary agent at Janklow & Nesbit Associates, and spoken at numerous early childhood conferences. The Anti-Romantic Child, her first book, was excerpted in Newsweek magazine and featured on the cover of its international edition. It was an NPR Morning Edition Must-Read, Slate's Book of the Week, nominated for the Books for a Better Life Award, and selected as one the Best Books of 2011 by both the Leonard Lopate Show and the Chicago Tribune. Gilman writes regularly about parenting, autism, literature, and education for publications including The Daily Beast, New York Times, Chicago Tribune, MORE magazine, and Huff Post Parents. 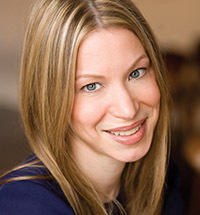 Her New York Times op-ed about autism in the wake of the Newtown school tragedy was the most emailed story at the time of its publication in December of 2012 and played an influential role in the national conversation about the disorder. As well, she is the Parenting & Education Advice Columnist for #1 Best Selling author Susan Cain's website QUIET REVOLUTION. "Priscilla Gilman is a bolt of euphoric lightning! We host hundreds of authors and Priscilla brings a remarkable amount of energy, enthusiasm and empathy to our events. Her ability to connect with individual members of an audience is extraordinary." "It was so wonderful to have you speak at Allen-Stevenson last evening -- and more importantly to meet one of my favorite authors! Today happened to be conference day for Kindergarten and First Grade. A number of parents in this group were at your presentation last night and you were the talk of the hallways! The parents loved what you had to say. You were so eloquent and spoke from the heart. The parents I spoke with were so moved. I hope that we can arrange for you to come and speak to our teachers some time in the near future." "Your willingness to speak to my class and allow them to see your passion for education, your love for children, and your constant pursuit of children's happiness and equality will stay with them forever. Those qualities that define you provide future educators with an invaluable lesson on why hard work, persistence, and desire to meet every child's needs remain their top priorities. I am extremely grateful for being able to read about your experiences, visibly see your passion and dedication, and share with others what a true role model represents." "Priscilla Gilman was fantastic--engaged and engaging, with a deep knowledge of Wordsworth's poetry, and a passion for Wordsworth and for poetry that she shared with my students. Her blend of a scholarly and a personal approach engaged our hearts and minds. Her references to her book, The Anti-Romantic Child, made her visit less of a lesson and much more of an authentic conversation." "I highly recommend scheduling Priscilla at your next conference/event. She spoke at our Child Care Resource and Referral agency regarding Parent/Teacher/Provider Collaborations and she ROCKED THE HOUSE! Many were in tears. Perfect energy and perfect timing." "Priscilla Gilman is the most dynamic and lively teacher I have ever encountered. Having co-taught with her for several years at Vassar College, I can attest to the fact that she is as knowledgeable as she is riveting." " Priscilla Gilman's Keynote Address at our 2011 Annual Conference was fabulous! The evaluations are 100% excellent (the highest grade) so clearly the audience agrees with my assessment." "I knew that my English students would love Gilman's talk, but what's been so rewarding is how many conversations across campus we've had since she was here. Priscilla Gilman brought together faculty and students from Psychology, Education, Health Sciences, into a rich conversation about life, literature, and what really matters. She is such an engaging and inspiring speaker -- everyone keeps thanking me for bringing her to campus." "I have rarely experienced a speaker more compassionate and electrifying than Priscilla Gilman. Priscilla's weeklong workshop on poetry was outstanding, and inspired our prisoner students to new levels of insight, sensitivity, and empathy. In making poetry from Shakespeare to Audre Lord relevant and compelling, she enhanced the prisoners' self-awareness and commitment to living more mindful lives." "Thank you so much for a stunning program today! Your book is truly a treasure, as are you. Everyone was enchanted by you: you were wonderfully open, articulate, engaging; and I knew that you would find just the right way to convey the emotions expressed in your memoir that was both deeply touching and joyous, filled with life and promise. Congratulations again for such an unforgettable day!" "Thank you for your unforgettable presentation at the Women's Group of the Greens Luncheon. To be able to capture the interest and attention of almost three hundred attendees is certainly a feat. Your book which deals with such sensitive issues was written so beautifully that it touched the hearts of all of us. We truly loved having you as our guest speaker!" "Priscilla is a captivating speaker, and I think I could listen to her speak about paint drying! Our audience got very caught up with her story as she told it and asked many questions both in the Q&A period and afterwards. I cannot imagine a better resource for families' initial understanding that their child encounters the world differently and how to embrace and enhance their child's parallel experience." speaker and encourage all parents to hear Ms. Gilman speak or to read her book, The Anti-Romantic Child: A Memoir of Unexpected Joy." "Unforgettable...I couldn't put this book down." "This is a fascinating, tender, illuminating book about an extraordinary boy and his equally extraordinary mother. A wonderful read." "A book for all parents ... [Gilman's] poignant story of reconciling fantasy with reality is a universal story of parental growth. A story to inspire us all." "Rapturously beautiful and deeply moving, profound and marvelous." "A fantastic memoir . . . I loved this book." "Every parent should read this luminous book to absorb or absorb again the truth that every child is a surprise -- a revelation -- to be uniquely learned and understood as well as loved." "The Anti-Romantic Child is beautiful, poetic, and heartfelt. It's more than a mother-child story; it's a journey of self-discovery. It's a book every parent should read." "Priscilla Gilman's lyrical narrative is profoundly moving and ultimately joyous. It eloquently touches the universal." "What a glorious book Priscilla Gilman has written. Lively, eloquent, straightforward, and insightful, The Anti-Romantic Child deftly delineates and negotiates the complex cross-currents of a life of the mind and a life of the heart." "[Gilman] crafts a beautifully sinuous and intensely literary celebration of the exceptional, unconventional child."